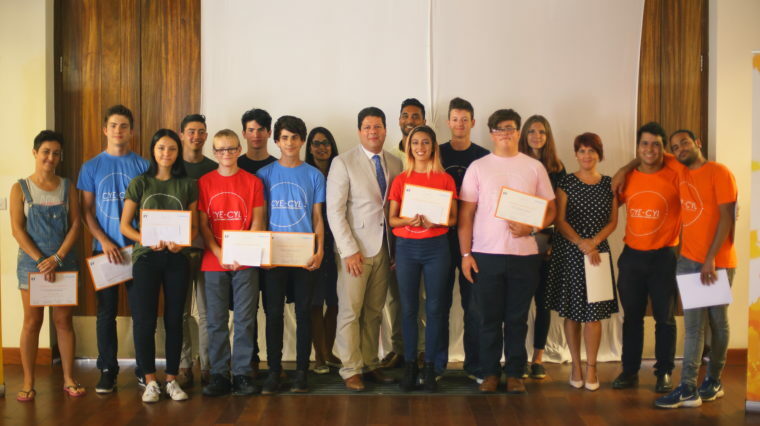 We have awarded a matched funding grant to CYE-CYL (acronym for “Change Your Energy, Change Your Life, pronounced Cycle) to support their ‘Summer Challenge programme’ in Gibraltar. Our support for CYE-CYL will assist with their three week summer programme for young people between 16 and 20. The programme provides the practical skills and self-empowerment tools needed to access employment and/or further education with confidence, drive and ambition. The first week of the programme is residential and focuses on team building activities, values, mindfulness and self-empowerment. The second includes workshops on sports, media, photography and drama which the young people then use to create a project with a local charity or community scheme. The third week focuses on entrepreneurial and project management skills where students design a service or product that can be used for the local community and present their projects to a panel of experts. Once the 3-week challenge has ended, participants have one-to-one sessions with mentors to help them make contacts and find work placements in their chosen area. Twenty students (pictured above at their graduation) completed the course last summer and with additional funding and partnerships with schools, it is hoped that this will increase to a 50 students this year.